Pokemon Go Christmas Event: While Pokemon Go has become a worldwide hit since its launch of the recent event Pokemon Go, the creators Niantic are all set to take it to another level by the end of this year. They have introduced the latest and most popular technology used in mobile industry, i.e., Augmented Realty and thus announced AR+ Mode in the game. As a part of this ChristmasEvent, Niantic has announced its new form of Pokemon Go by bringing in the AR+ Mode, which gives a new feel to the evergreen hit mobile game. It is supported by the Apple’s AR technology, and will come to select iOS devices like iPhone 6S Plus, fifth generation iPad models and iPad Pros. 3 Pokémon GO Christmas Event: When Is It? 4 Pokemon Go Christmas event: what is in it? This technology increases the depth of gaming feel as it increases the depth and perception of catching the Pokemon creatures. With this tech, they have brought the game closer to reality. It will take PGo to next level. This event will see an updated version of the game. It will come with many new appearances, Christmas-themed aesthetic alongside a number of neat in-game bonuses. They are bringing in the all-new Santa hat Pickachu along with increased catch and hatch rates for the creatures. In 2016, we had seen a large amount of hatching appearances of Togepi and Pichu, but this ChristmasEvent may seem to bring in some different stuffs to mark this occasion. Related: Xiaomi Redmi 5 Plus. Pokémon GO Christmas Event: When Is It? Niantic revealed everything about the PokemonGO Christmas event on December 22 in 2016, so we can predict similar time slot for this time too. We are expecting that the event takes charge on the Christmas Day, December 25th only. So, it’s important that we all get ready for the event before the Christmas Day and keep your phone charged before 25th of this month. Update: It will last until January 4, 2018. Some free goodies are available during this event. It includes a guaranteed Egg Incubator the first time each day you visit PokeStop from December 22 to 25. Winter Boxes are available for Trainers for 480 coins, Great Boxes for 780 coins, and Ultra Boxes for 1480 coins. Winter Boxes come with two Incense, two Incubators, and five Star Pieces. Great Boxes come packed with four Super Incubators, ten Razzberries, and ten Star Pieces. Ultra Boxes contain 25 Star Pieces along with 8 Super Incubators, ten Pinap Berries, and ten Lure Modules. Pokemon Go Christmas event: what is in it? As it is always unpredictable what the gaming giant Niantic is going to surprise us with this Pokemon GOChristmas event. The fans are much waiting for this event. Something that we can predict is the Pokemons like Delibird and Smeargle, whose moves have been recently discovered in the games code ahead of the PokemonGO Christmas 2017 event. Rather it would be more interesting to see which Pokemon is going to be revealed this Christmas eve, especially for the gamer who want to catch all the Pokemons. Update: The release of Delibird seems to have been delayed due to the complicated nature of one of the moves, Present. 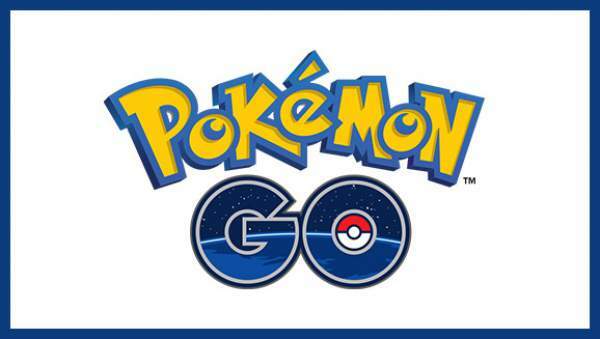 Lure Module will last for six hours instead of just 30 minutes. Niantic won’t alter weather conditions. This means that ice-type Pokemons will depend if there’s snow fall outside or not.